Finding Jeremiah Horn…or Where did they put my 3rd great-grandfather? Genealogists and family historians ask questions, lots of questions. When and where were they born? Who and when did they marry? What were their names and when were their children born? When did they die and where are they buried? The answers to these questions outline a life once lived. They tell a story. That story is somehow incomplete if we can’t answer the last question. We were talking about her grandfather, my great-grandfather, whom she did not know. He died 18 years before her arrival on the planet and for whatever reason(s) the family knew little about one another. I did not grow up spending much time with extended family. Part of my interest in family history is to connect my children and grandchildren to their roots. I entered and exited childhood in the Dallas/Ft. Worth metroplex. Born in Ft. Worth, I lived in Arlington and Euless before moving to Denton to attend 2nd grade and eventually graduate High School. We saw my dad’s parents and sister’s family the most, though that was not very often. We saw my mom’s brothers Charles and Loal Byrd and their families a few times. My dad did not know the name of his dad’s dad until I told him three years before his death in 1988. We weren’t very connected and from my point of view, not very curious as a family. Imagine my surprise 40 years after high school to discover I had dozens of relatives buried within easy driving distance of Denton. Some of them had been in North Texas since Texas was a Republic. Some had fought in the War of 1812, some in the Mexican-American War and some in the Civil War. Two of my 3rd great-grandfathers had original Texas land grants with the Peters Colony. One was in Denton County (!) and the other one was next door in Collin County! One of my 3rd great-grandmothers had an original land grant located mostly in Dallas County with about a fourth of it in Denton County. And, my 3rd great uncle, James Byrd, owned over 1800 acres in today’s north Dallas. 640 acres of that was an original Peters’ land grant. He died in California during the gold rush but his wife and many family members are buried in north Dallas within a 35 minute drive of where I played baseball as a child. I drove across one of their grants playing football in Carrollton. I drove across another one of these original land grants every time I drove from Denton to Dallas on Interstate 35. I drove by a third one every time I took Hwy 380 east to or through McKinney, Texas. And I’ll tell you I followed that “trail” many times. Stop today at the new Taco Bueno across from the new Walmart on Hwy 380 East and you’re there. You’re on part of Jeremiah Horn’s original land grant! Who knew? It was a natural progression and gradual revelation. Find my grandfather Byrd’s father. Pleasant Wesley Byrd was in fact a well-known Methodist minister in Wise County, Texas. Hwy 380 West traverses this county traveling west out of Denton. He was in fact in a book in the library. Got him. Find his father. Samuel Byrd was a bit more elusive and remains so. But, I found him. His wife, my 2nd great-grandmother Elizabeth Horn, “introduced” me to her father Jeremiah. His story is not so common. Now, where did they put him? I began my online search for Jeremiah Horn’s burial place in 2012. 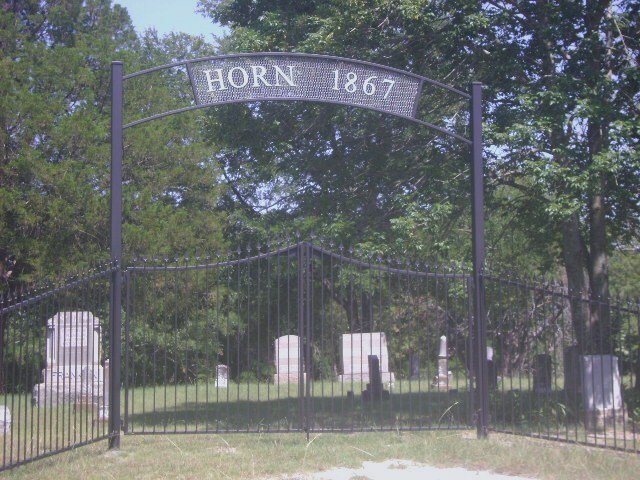 I was so pleased and pleasantly surprised to rather quickly find the Horn Family Cemetery just west of McKinney. As you can see in the picture, it even had the year of Jeremiah’s death on the gate. He must have been the “first in”. However, it wouldn’t be THAT easy. Jeremiah Horn’s body is not planted in this place. In fact, the two well-known Horn families in Collin County have not been able to genealogically connect their families. This in spite of the fact they both had family in Wilson County, Tennessee prior to their arrival in Texas and before that, in North Carolina. How could they not be connected? But, that’s another quest for another year. Now, where was I? Oh yeah, where did they put Jeremiah? 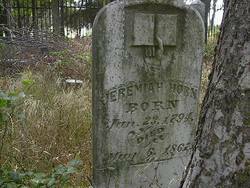 Jeremiah Horn was said by some online seekers to be buried in the Hunt Cemetery. And somebody, somewhere wrote or said the Horns and Byrds first came to Hunt County, Texas near the Collin County line and then on to Collin. I was surprised again. 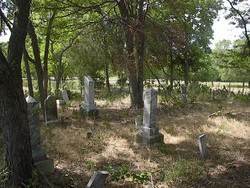 The Hunt Cemetery of Collin County is on the opposite side of the county and south of the community of Rheas Mill making it closer to the Denton County line than the Hunt County line. I found the Hunt Cemetery on MapQuest. I found it on Find A Grave. I found a record of the deed for the cemetery land. On a trip to North Texas I looked for the cemetery. I could not find it. I showed the location to my sister. When she and her family had moved back to North Texas from Arizona they bought a home within a few miles of the cemetery! Incredible. Jeremiah Horn’s resting place was there all the time. Using her phone’s GPS she located the cemetery in a grove of trees on private property (on the original Horn land grant). When she asked the family’s permission to visit the cemetery, they did not even know it was there! It was overgrown and a storm had blown down many trees sometime after these first photos were taken. But she found it! I visited the site the next winter. 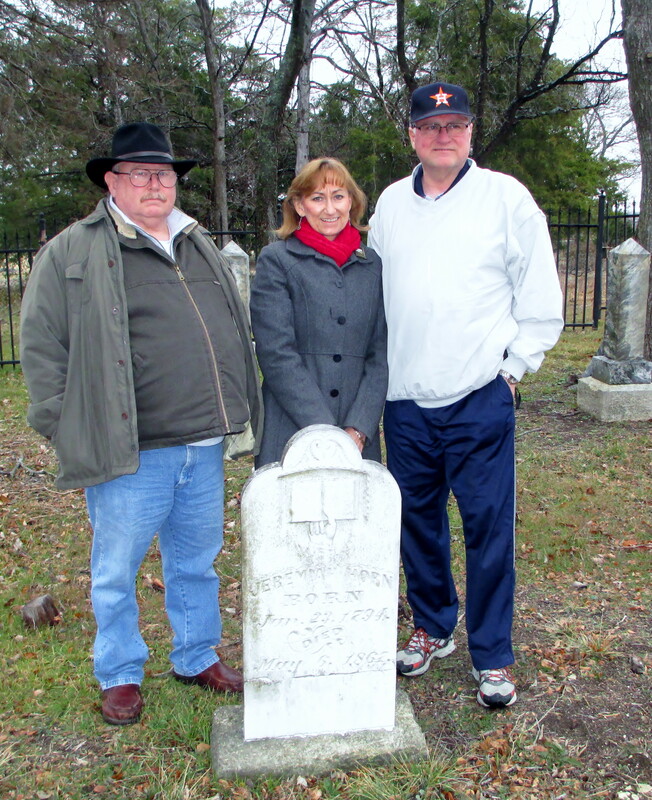 Boy Scout Troop 289 and the Prosper Historical Society had taken on the cemetery as a project. They cleaned, cleared the area and reset the stones that were down. It was beautiful. They are to be commended. Here are the GPS coordinates, latitude: 33.22940, longitude: -96.73310. Please ask permission before driving across the land owner’s pasture to get to the cemetery. Find a Grave says there are fourteen graves identified in the cemetery. I count sixteen. 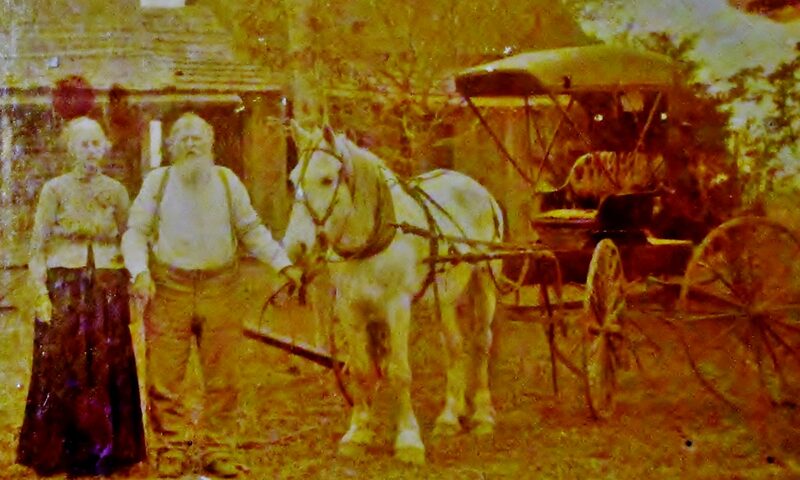 One of them is my 3 x great-grandfather Jeremiah Horn. I found his burial site. I can “put a period” on his story. But of course, Jeremiah Horn has many more tales to tell.